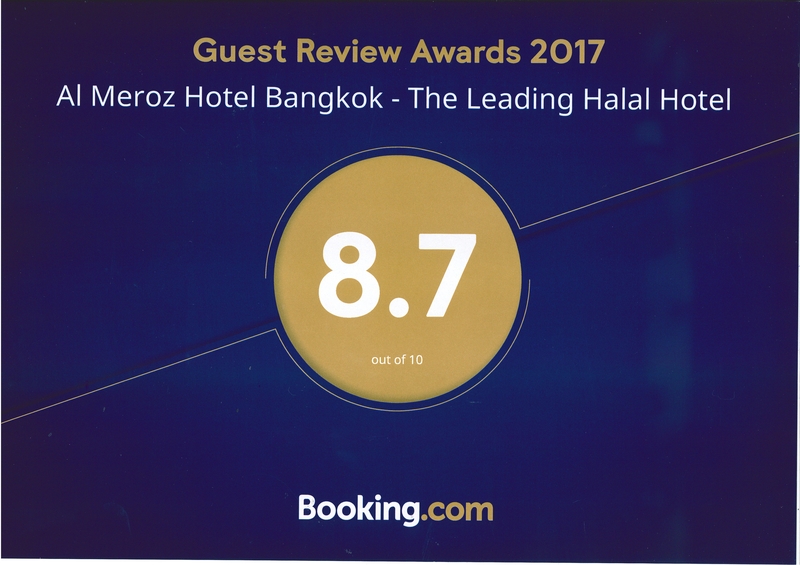 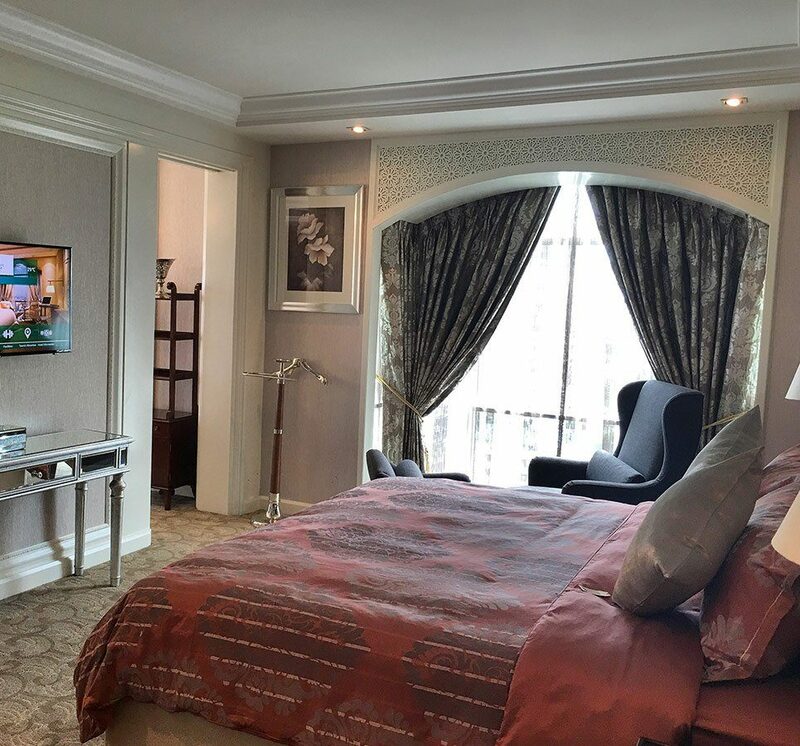 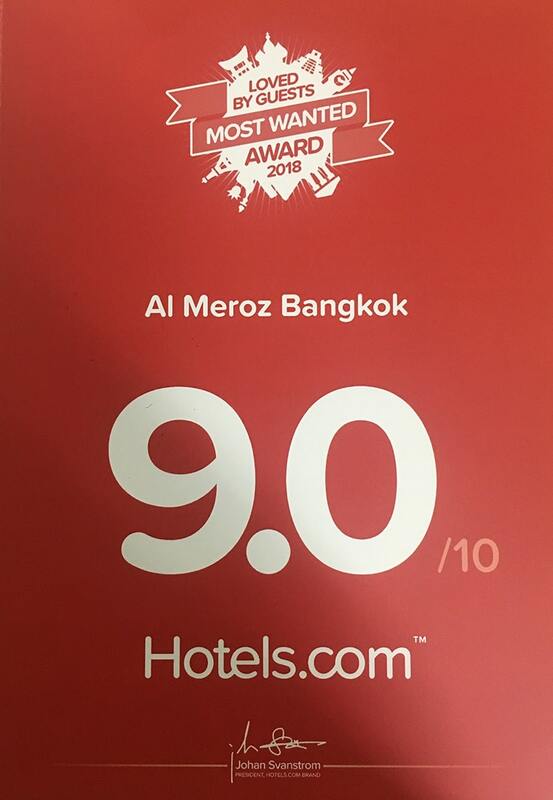 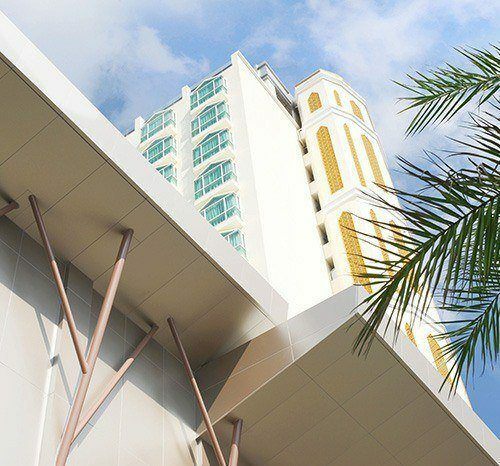 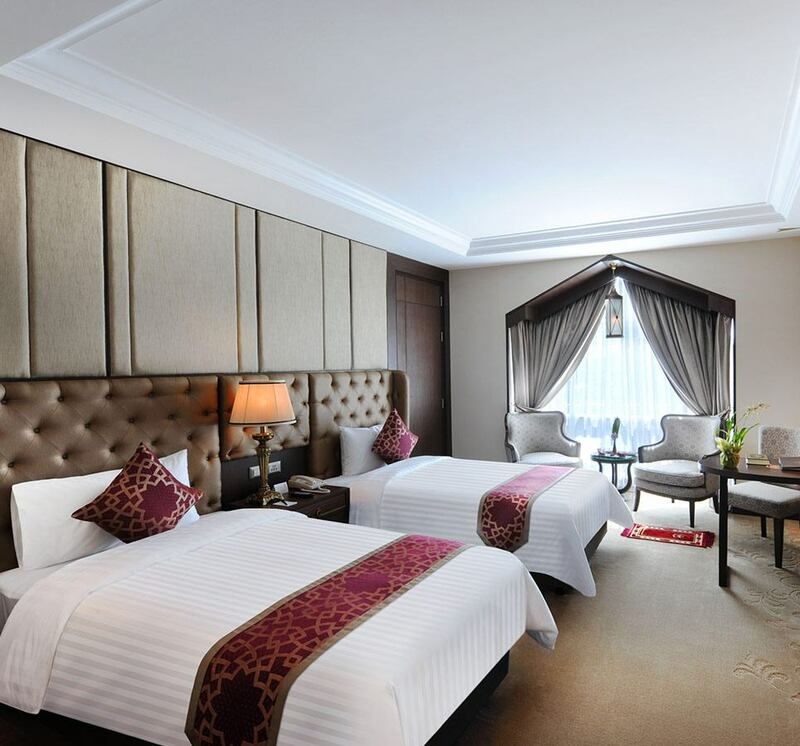 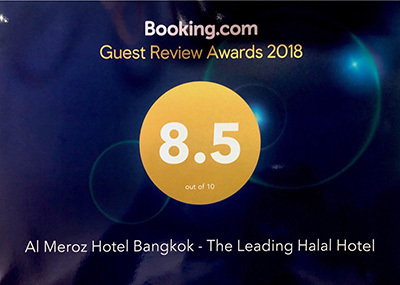 The Al Meroz Hotel is Bangkok’s Leading Halal Hotel, conveniently located with easy access to Suvarnabhumi Airport and downtown Bangkok. 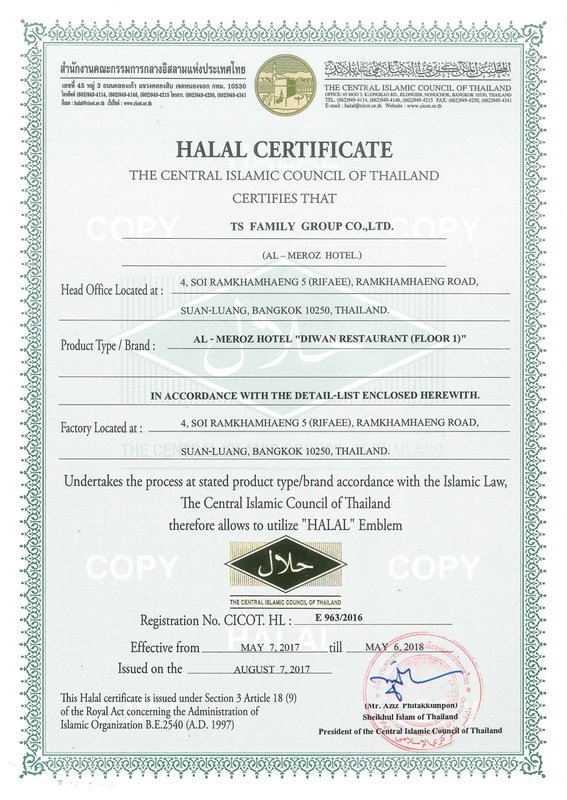 It is also close to The Foundation of Islamic Centre of Thailand, which offers religious services and guidance to the Muslim Community. 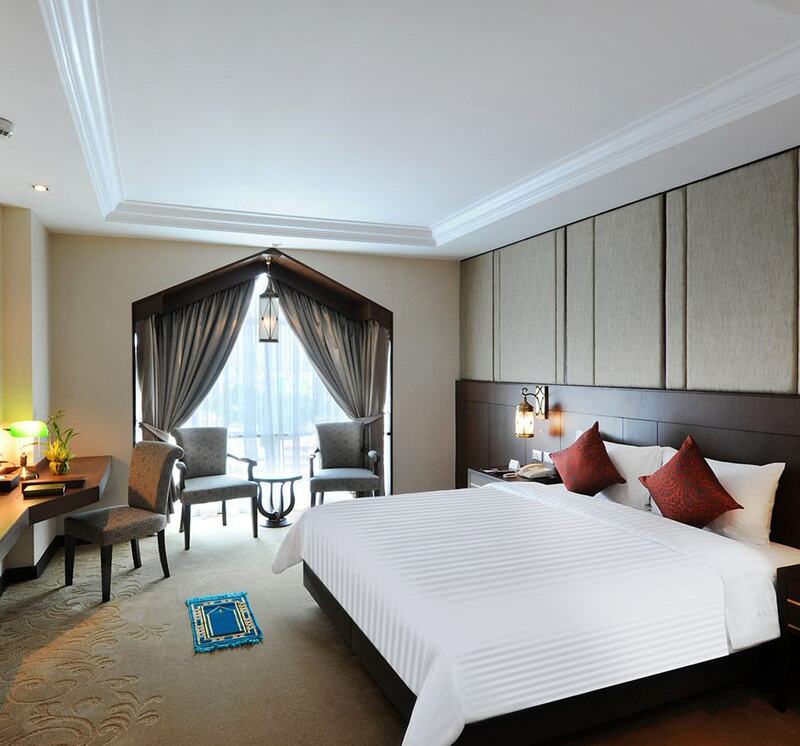 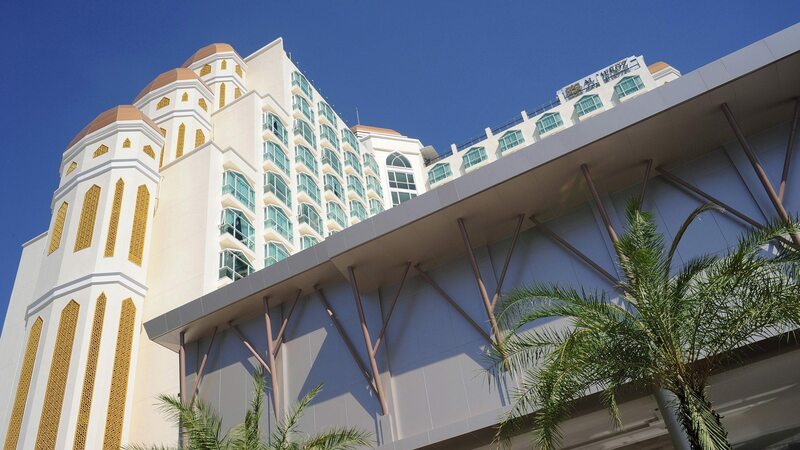 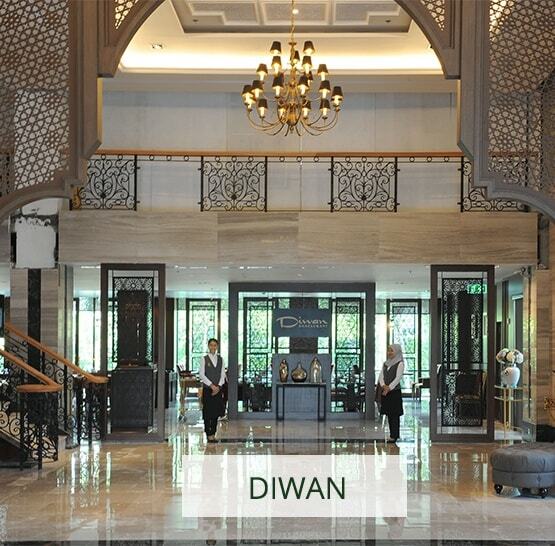 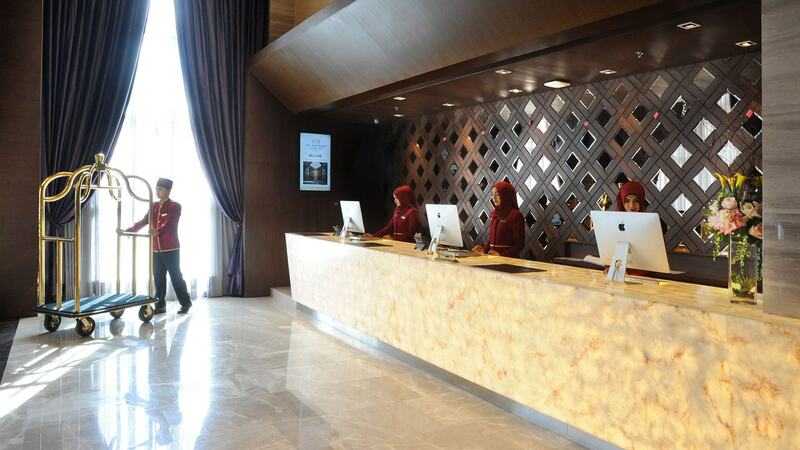 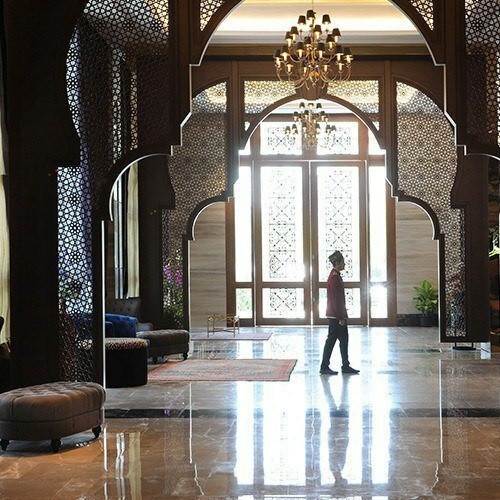 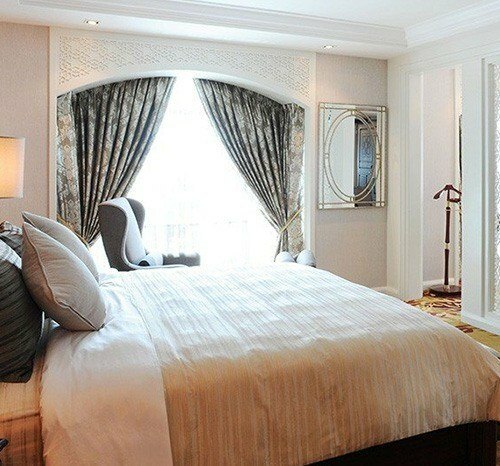 The Hotel’s accommodation, dining and leisure facilities have been specially created to ensure the comfort and wellbeing of our Muslim and non-Muslim guests. 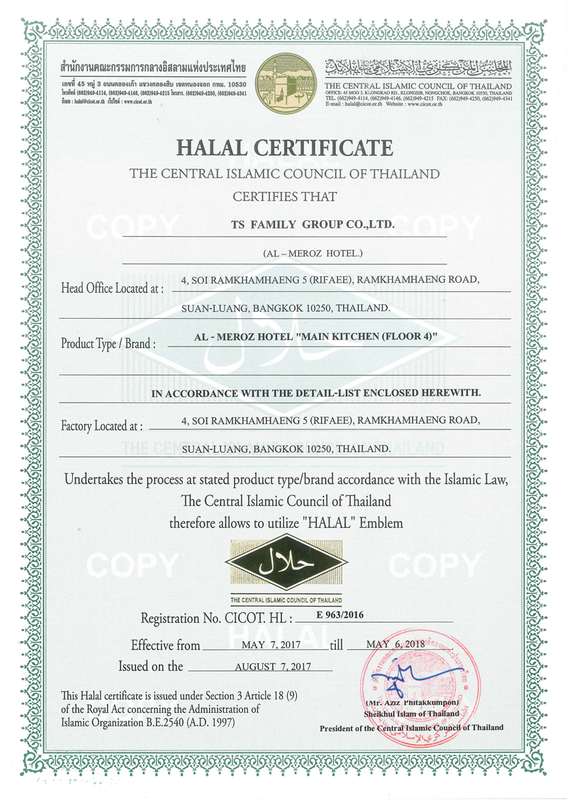 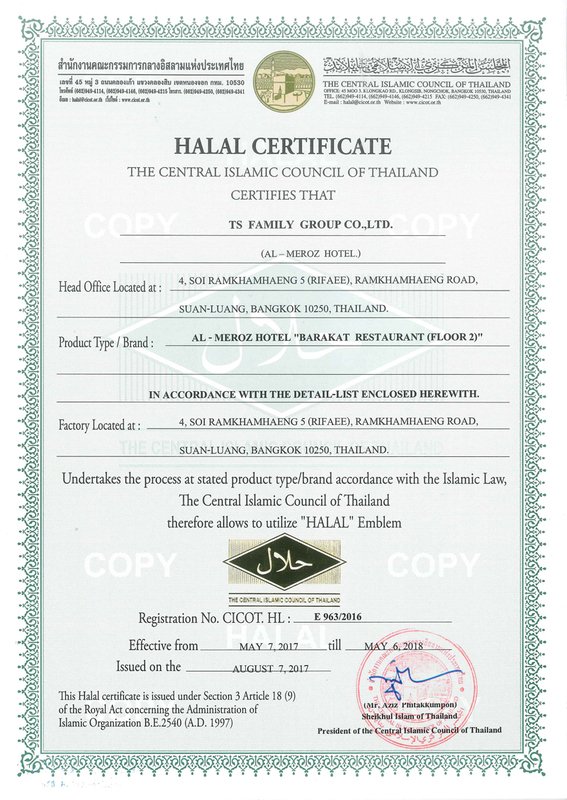 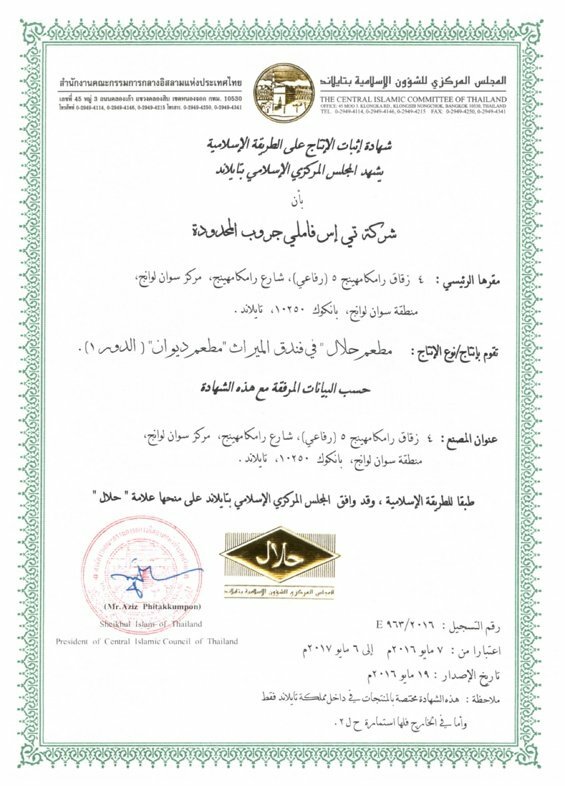 All meals served in our restaurants are Halal-certified and the Hotel is a non-alcoholic. 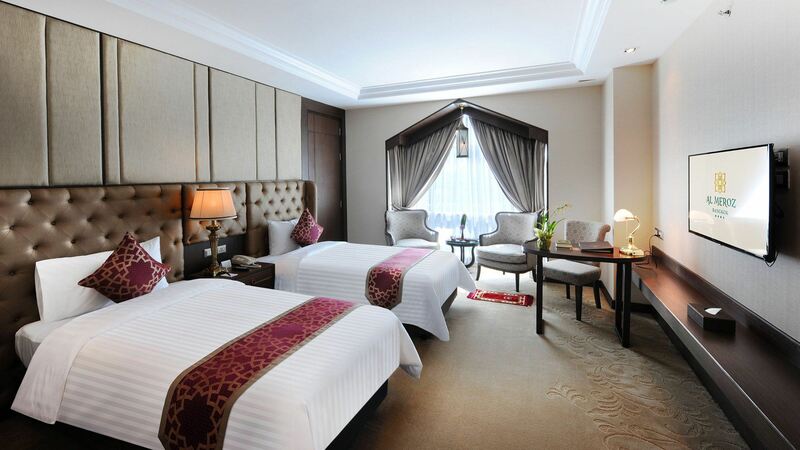 A special feature at the Al Meroz Hotel is the selection of functions and meetings rooms. 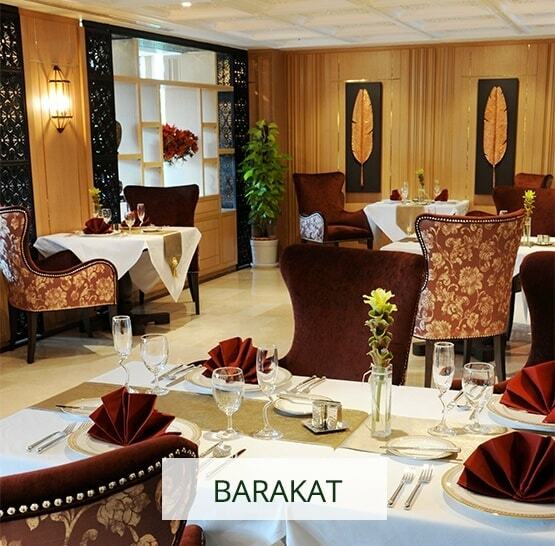 The Grand Meroz Banquet Hall can seat 500 guests, with a pre-dining capacity of 1,200 guests. 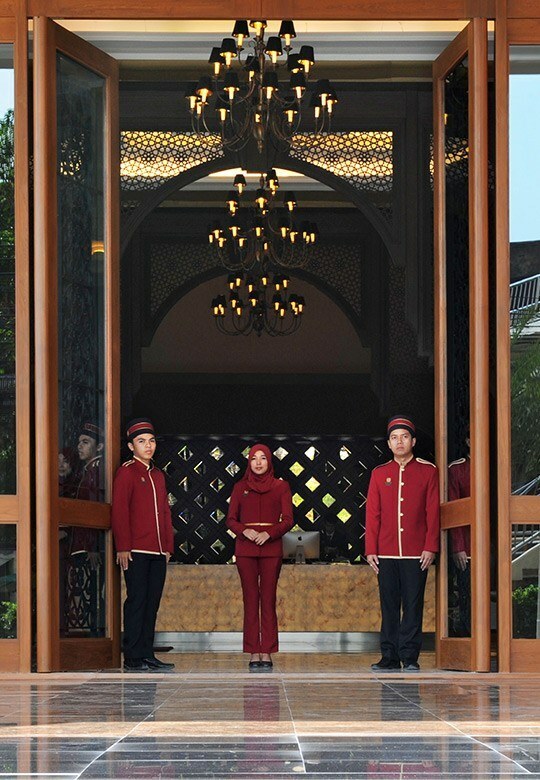 Our range of Meeting and Seminar Rooms can accommodate from 30 to 800 participants, and Bustan, our open-air roof top is an ideal space for up to 200 guests. 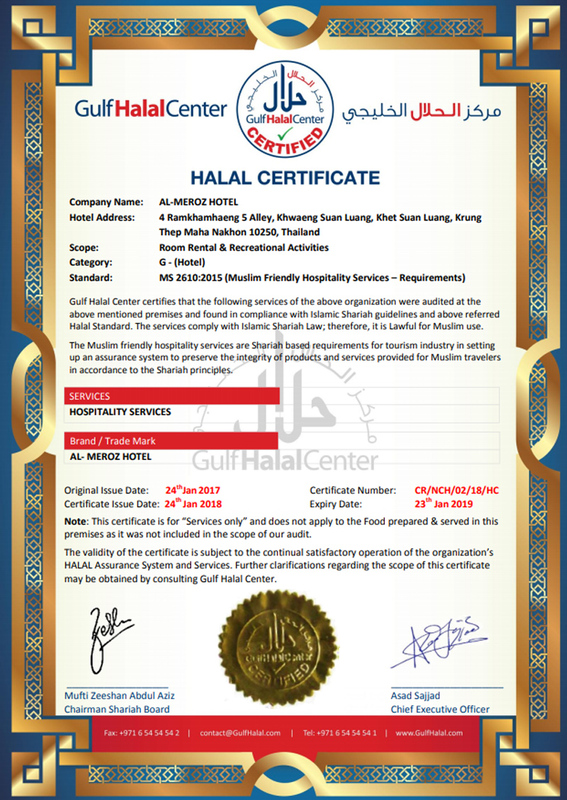 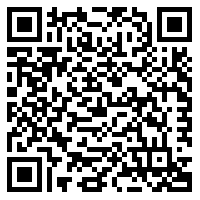 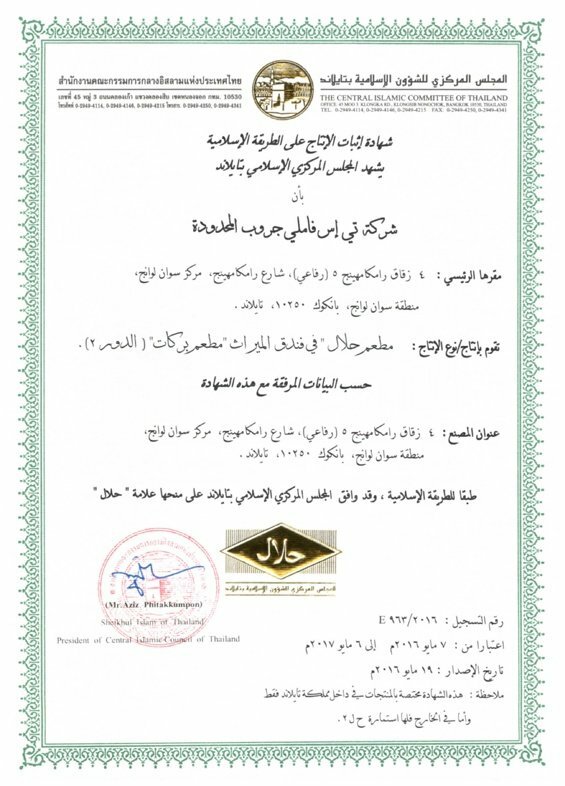 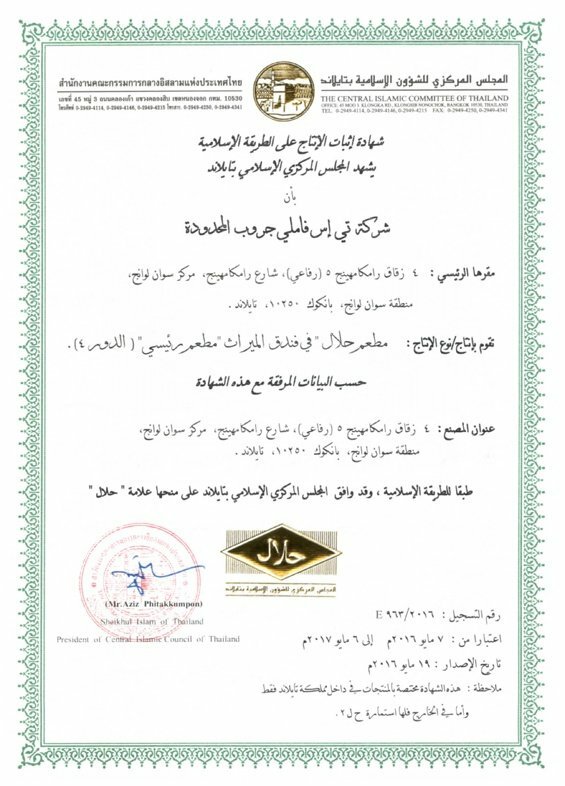 Our Halal-certified kitchens can create banquets and special menus to cater for all occasions. 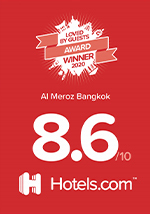 Bangkok is one of the most popular tourist destinations in Asia. 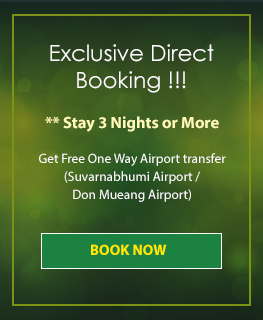 From traditional sights like the Grand Palace and floating markets to Thai silk production, water theme parks and The Foundation of Islamic Centre of Thailand, visitors can be assured of a memorable stay in Thailand. 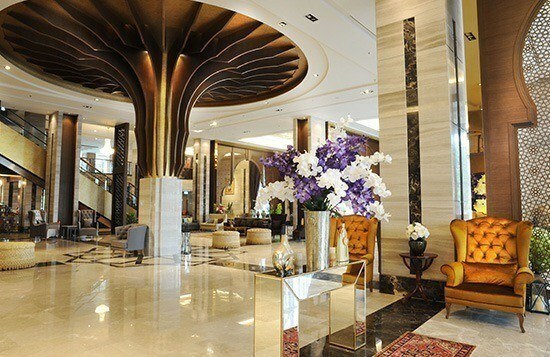 Bangkok has also become a shopper’s dream with new arcades and boutiques opening almost daily. 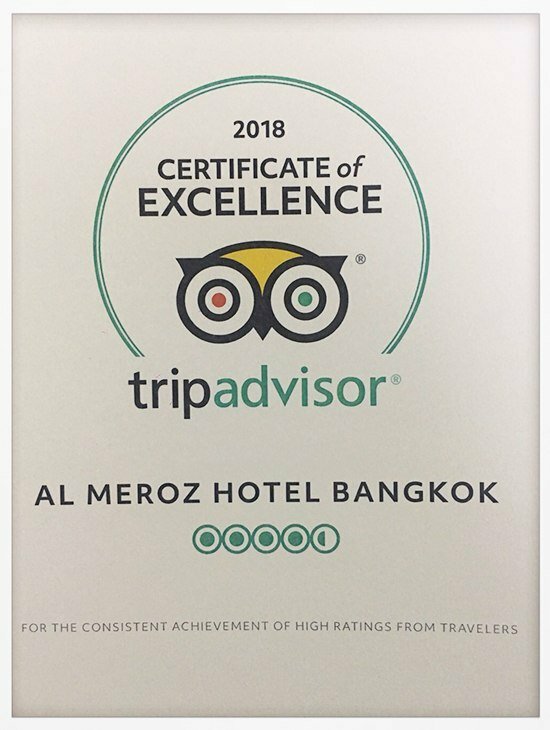 The Al Meroz Hotel is ideally located to access these varied attractions, with both public and private transport easily accessible from the Hotel.